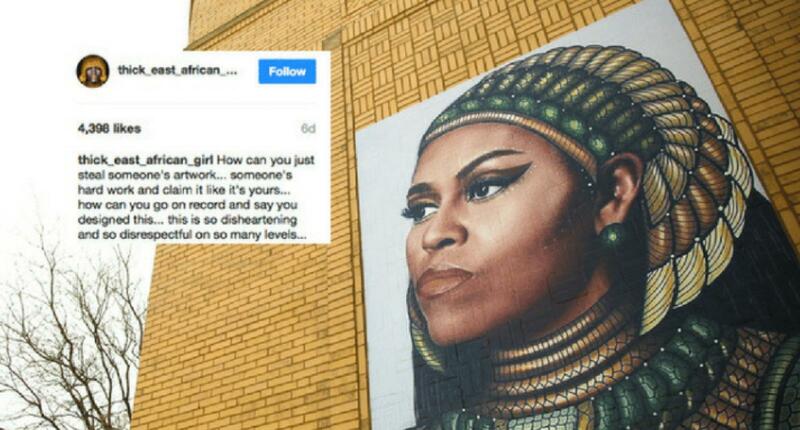 A powerful mural of Michelle Obama painted on a building in Chicago is causing quite a stir, but not for political reasons. 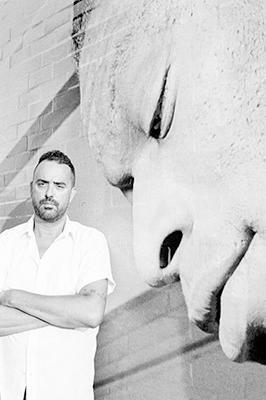 When artist Chris Devins finished the mural on Friday, he found himself under fire for plagiarizing. 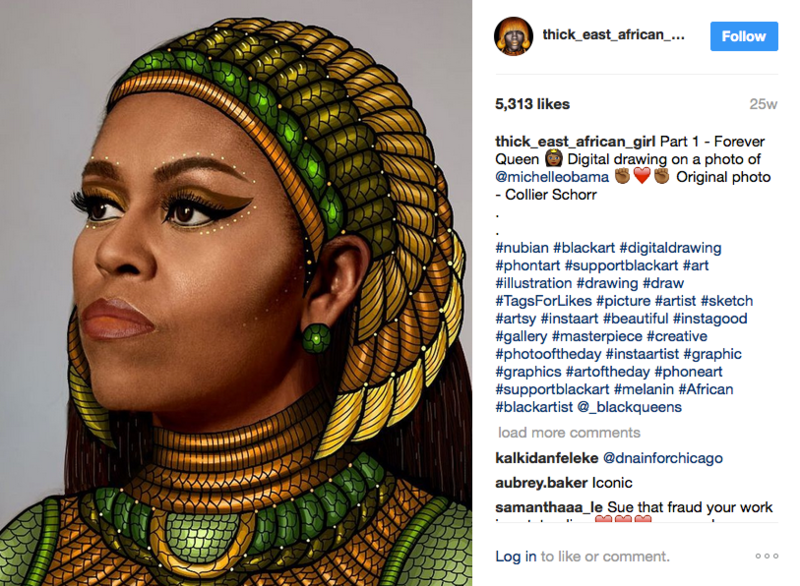 Online critics accused Devins of copying the art of Ethiopian art student Gelila Mesfin, who posted this image of Michelle Obama on Instagram. 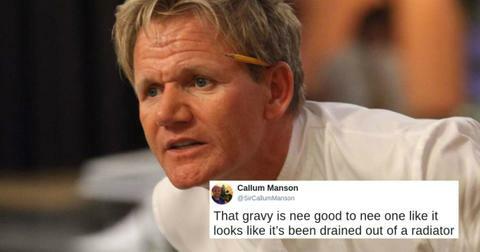 So is he a copycat? Mesfin added, "It's one thing to share or even profit from someone's work but to claim it as yours is just wrong!" Devins, however, thinks that 'plagiarism' is a harsh term for the mural he insists was inspired by the image he originally saw on Pinterest, unaware of its origins. 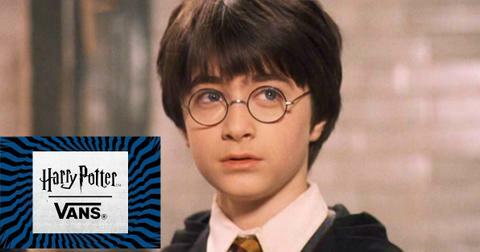 But, there's a fine line between plagiarism and inspiration. 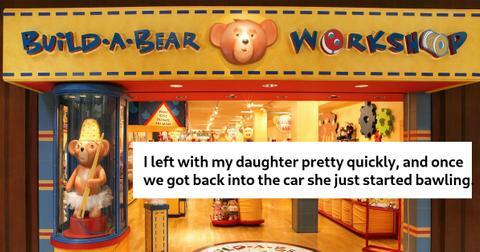 Maybe it depends on the shade. 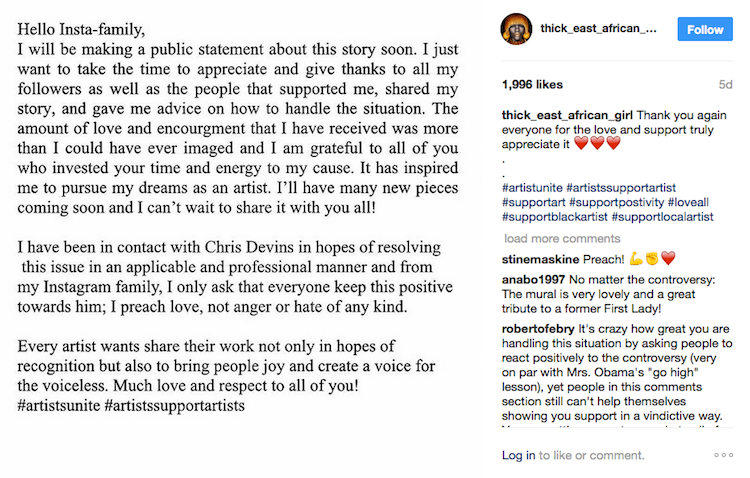 Devins told CNN in an interview that he wasn't aware of Mesfin's tribute to Michelle Obama until after someone brought the art student's Instagram page to his attention. 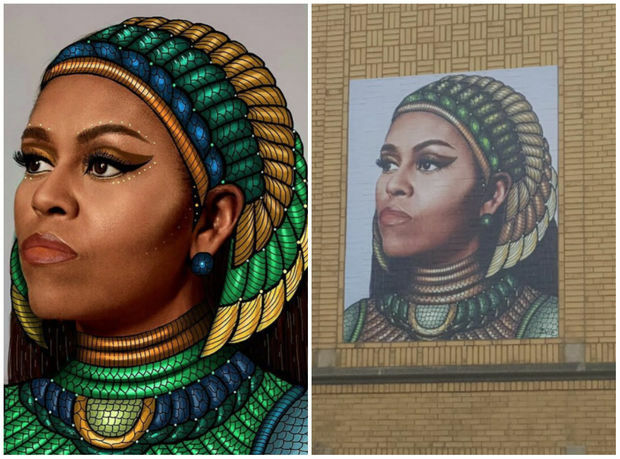 Devins calls himself an urban planner in addition to being a mural artist, and he chose the location for the image of Michelle Obama, depicted as an Egyptian queen, to inspire the students directly across the street at the elementary school where the former FLOTUS once attended. 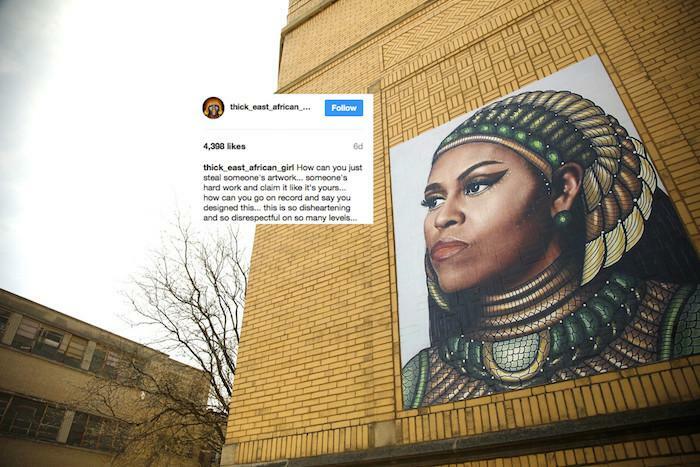 "I wanted a mural that would serve as an inspiration for the young ladies on Chicago's South Side and young ladies everywhere," he said. For me, this is a time for learning and self-reflection, not justification. Though I did not receive any funds based on Ms. Mesfin's work, I was granted money based on a socially responsible message about Black women. She has accepted my extended hand of friendship and collaboration. 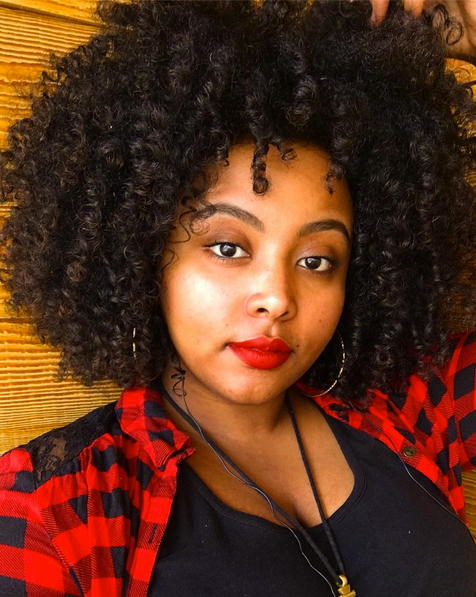 Mesfin sent a message to her followers and thanked them for supporting her and sharing her story. She mentioned that she'd gotten in touch with Devins and that they hope to resolve the issue in an "applicable and professional manner. "To her followers she said, "I only ask that everyone keep this positive towards him; I preach love, not anger or hate of any kind.